Pulled Pork Waffle from Beacon Ale House in Amherstburg, Ontario. The 2018 Winter Bites Restaurant Week starts next week and we’re giving you a peek at some of the dishes Beacon Ale House will be serving. Vegans fans of the restaurant week will be excited as there will be options to create an entire vegan 3-course meal. Here are 5 items from the special menus that we’re excited about. Cheese Bombs from Beacon Ale House. The perfect two-bite sized way to start your meal. 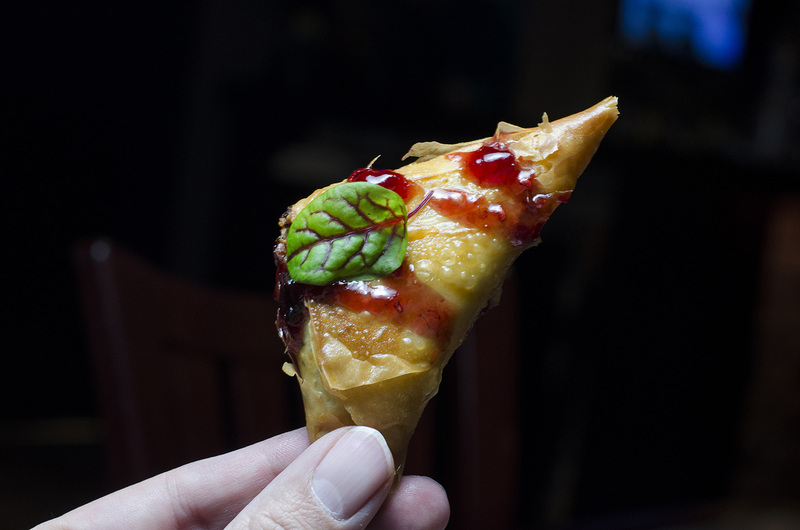 These phyllo dough triangles are filled with a herb garlic cream cheese and feta filling that oozes out with each bite. It’s also slathered in a raspberry wine jelly for good measure. Maple & Kale Salad from Beacon Ale House. Maple syrup, how much do we love thee? 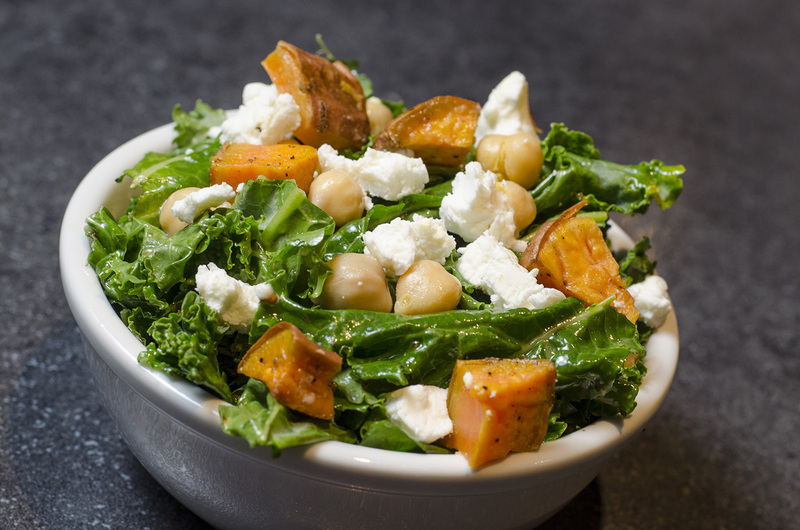 So much so that we thought a maple mustard vinaigrette drizzled over top fresh kale, sweet potato, chick peas and goat cheese was the perfect touch. A burrito that’s vegan friendly and filling. This burrito is a beast, so we hope you’re packing an appetite when you order it. 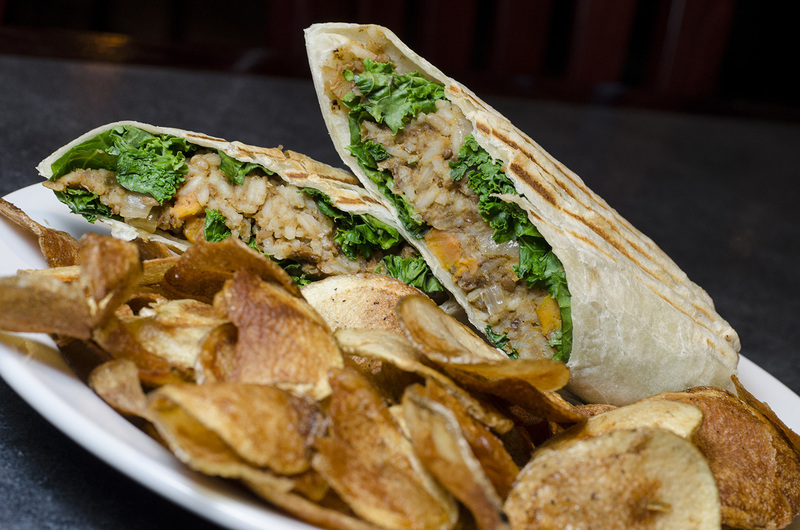 A grilled wrap is absolutely filled to the brim with sweet potato, rice, lentils and kale with a touch of lime and cilantro. It also comes with a side of chips. 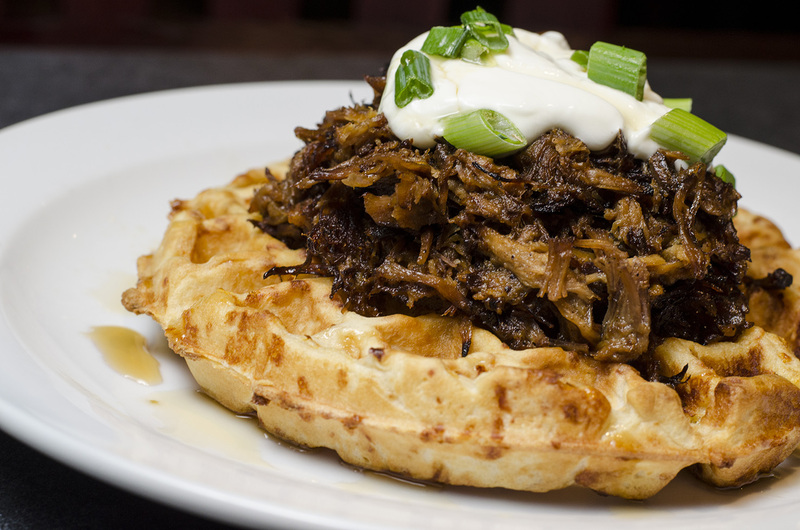 Pulled pork over a savoury cheese waffle. Sweet and savoury in one dish. 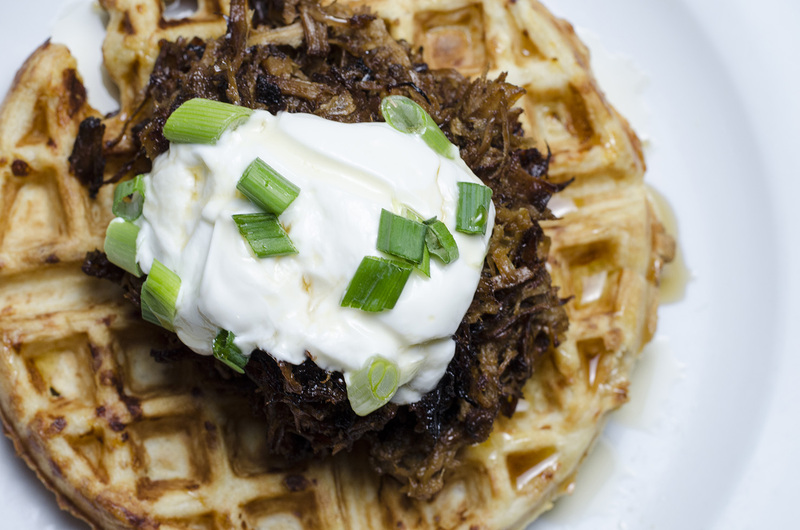 A large, savoury cheese waffle topped with pulled pork and a dollop of sour cream is then drizzled with a spicy habanero maple syrup. Did you say Berkshire pork bacon? One of the most popular items on the Beacon Ale House menu is their Beacon Burger. 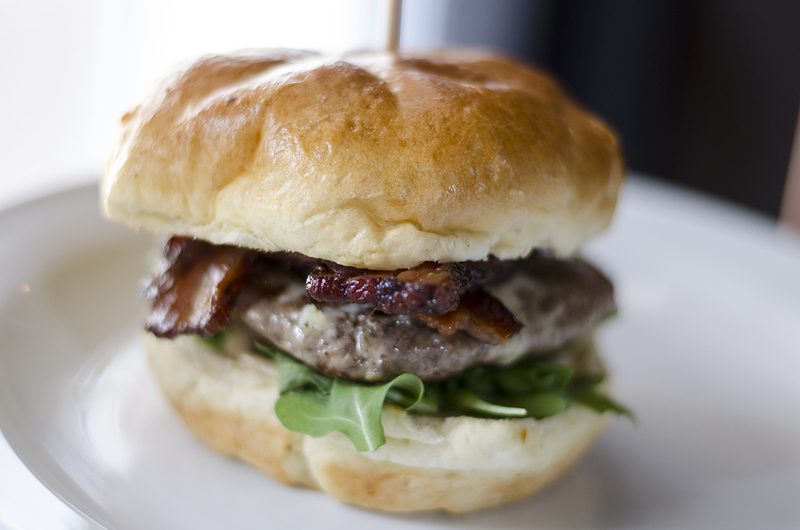 A grass-fed beef patty that’s made in-house and topped with cheese, arugula, Berkshire bacon, stout BBQ, garlic aioli and caramelized onions in between a Blak’s Bakery brioche bun.